The curry tree (Murraya koenigii) is a tropical to sub-tropical tree in the Rutaceae family. 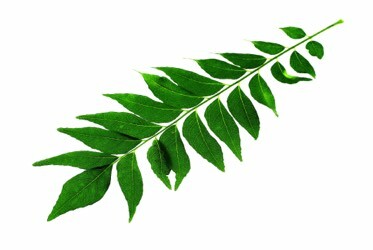 The aromatic leaves of the curry tree are used in many dishes in Cambodia and neighboring countries. Cambodians dry roast fresh curry leaves and put them in soups for their aroma and flavor. Other uses of curry leaves include topical treatments for skin & hair, herbal tea and flavored cooking oils. Curry leaves are also used as an herb in Ayurvedic medicine in which they are believed to possess anti-diabetic properties.